All but forgotten today, Prentiss Ingraham (1843-1904) was the most prolific author in Mississippi literary history. Perhaps even more astounding than his creative output of six hundred novels and four hundred novelettes is Prentiss Ingrahams own life story. Born in Natchez, the only son of clergyman, lawyer, teacher and popular author Joseph Holt Ingraham, Prentiss Ingraham left school to enlist in the Confederate army. At the end of the Civil War, he chose to become a soldier of fortune, fighting on the side of Juarez in Mexico. During his sporadic paramilitary career, Ingraham also fought against the Turks in Greece and for the Cubans in their revolt against Spain. Captured by the Spanish at one point, Prentiss Ingraham narrowly escaped execution. 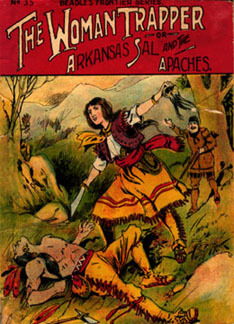 Beginning in the early 1870s, Ingraham began writing dime novels for the New York publishers Beadle and Adams. During his extensive literary career Ingraham averaged 154 words every hour of every day for thirty-four years. Ingraham often based his novels on his own military experiences as well as on themes originally devised by his father. Ingraham reworked a number of his fathers sea stories into a pirate series, which was reprinted many times well into the twentieth century. For a time, Ingraham worked as a press agent for Buffalo Bills Wild West Show. 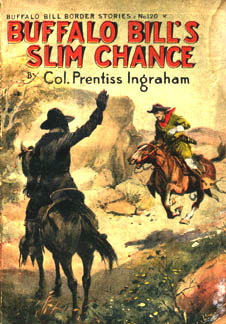 This personal experience prepared Ingraham later to take over the Buffalo Bill series of dime novels. Eventually, Prentiss Ingraham would write over two hundred Buffalo Bill stories alone. While Ingrahams novels were essentially hackwork written quickly and produced cheaply, they did attract a substantial popular audience. 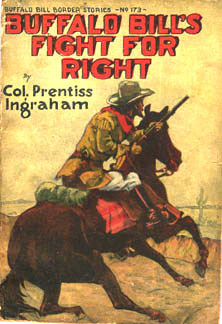 Indeed, Ingraham is credited with popularizing the cowboy hero and in shaping Americas popular perception of the Western frontier. Joseph Holt Ingraham was born a Yankee in Maine, but died a Mississippian in Holly Springs. He was both a popular and prolific author and one of the few nineteenth century writers of note from Mississippi. Ingraham first visited Mississippi in 1830 and eventually joined the faculty at Jefferson College in Washington, Mississippi, where he married a local girl and published an important travel book, The South-West by a Yankee. Over the next ten years, Ingraham turned his hand to fiction, producing during that period two of his best works -- the novels Lafitte: The Pirate of the Gulf and Burton; or the Sieges: a Romance. When popular demand began to grow for shorter paperbound novels, he responded to the market, producing over eighty of these shorter works between 1842 and 1847. Many of the novels had nautical themes, while others contrasted the bucolic pleasures of country life to the evils of the city. 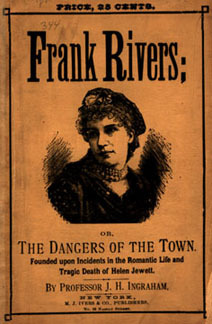 An example of the latter is Ingrahams novel Frank Rivers. In mid-life, J.H. Ingraham decided to become a clergyman. Ordained a deacon in the Episcopal Church, he served congregations in both Aberdeen and Holly Springs, Mississippi. This new vocation, however, did not end his writing career  it merely altered the tenor and theme of his fiction. In 1855, Reverend Ingraham published his most successful book, a novel set in the biblical era entitled The Prince of the House of David. Over time, the book sold nearly five million copies worldwide. 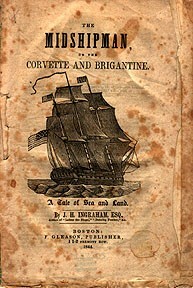 In response to Stowes Uncle Toms Cabin, Ingraham wrote a pro-southern piece entitled The Sunny South, which appeared posthumously in 1860 on the eve of the Civil War.